If we say so ourselves, this folded seed paper wedding invite oozes gorgeousness and luxury! And it is very eco-friendly too! The invite cover is made from recycled paper embedded with a mix of British meadow wildflower seeds and grasses, and made especially for us in the UK – so you won’t find this anywhere else! The invite size is around A6 – we tear the seed paper to A5 size and then fold it round a recycled piece of paper inside which is embedded with confetti. Very, very pretty and unusual! The invite is then tied with baker’s twine – the colour will depend on what we have in stock when you order. If you have a particular colour you would like then please request it and if we can accommodate it we will. 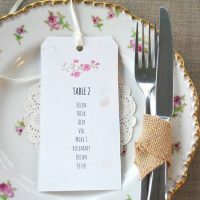 A recycled paper RSVP is also included, printed on the same recycled confetti paper as the invite. 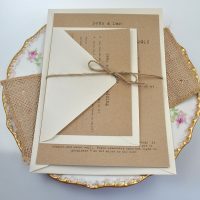 A recycled envelope (white, manilla or ivory, depending on what is available at the time of ordering) is included as well for the RSVP to be returned to you. The manilla heart that seals the wedding invite is also recycled. Please send us your invite text by email or include it in the box above. If you want a particular font then please also request that too. We will email you a proof before printing. We recommend planting the seed paper invite on top of a pot of compost rather than directly in the garden – where all sorts of little rascals will be waiting to munch the seeds and any seedlings that manage to survive! 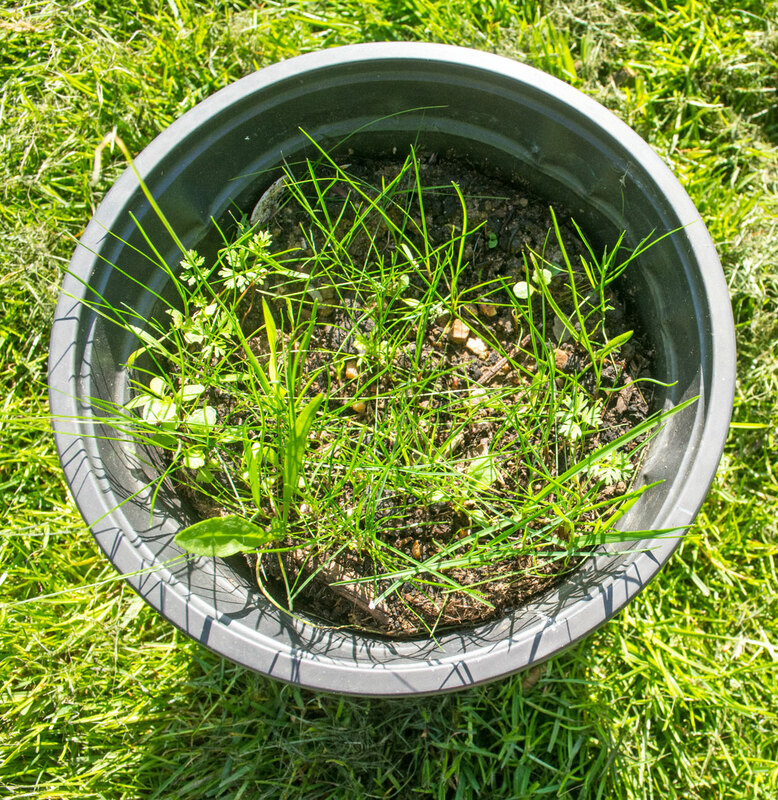 No need to cover the paper with compost, just water it well and place somewhere warm and light to germinate. The important thing is not to let the paper dry out.